Well, here we go again. Something has changed on Pinterest and the maker world is scrambling to figure out what it is and how to use it. No, it’s not an algorithm change or a change to Pinterest SEO…it’s Pinterest Communities. 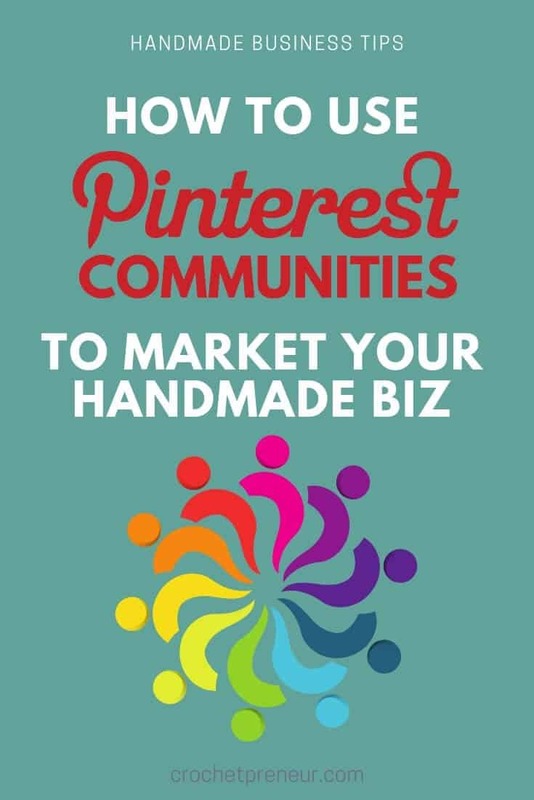 1 What are Pinterest Communities? Honestly, it’s hard to know. Pinterest doesn’t have a lot of documentation out about communities at this point, but what we do know is that you can share pins, photos, and links inside the communities. This could be huge! We also know that, once you get set up with communities on your Pinterest account, you’ll be able to create your own communities, search out other Pinterest communities, and join the ones that interest you. Other than that, it’s going to be a “wait and see” kind of thing. In order to get Pinterest Communities set up on your Pinterest account, you need to join a community via your phone and the Pinterest app. So, let’s take care of that right now. Then, click “join.” You’ll need to do that for each of your Pinterest accounts if you have more than one. or you’ll have the word “COMMUNITIES” across the top of your Pinterest menu on desktop. After about an hour or so after you’ve added the communities tab, you’ll be able to search for communities to join. To create your own Pinterest Community. Open your account on your laptop or desktop. Then, click on the “COMMUNITIES” tab. On the right-hand side, toward the top, you’ll find a button that says “CREATE.” Click on that to create your community. You’ll need to add a cover image (don’t worry you can change this later), a community name, and a description. Then, again, click the “CREATE” button. You won’t know until you click that button whether or not the community name is available. If it’s already taken, try a different variation of the name. I suggest you start at least one community with your business name because once a name is used, it can not be used by another community. So, yes, there is a chance that someone will grab your business name for their community. That’s why I suggest adding the Pinterest Communities feature and starting your own community right away, even though we’re not really sure how they’re going to be used in the future. As I said, I suggest starting a community with your business name in order to secure that name and ensure that no one else uses it. However, that might not be your best strategy for growing and building a community. So, my suggestion, for now, is that you start two groups: one for your business name and one for your niche. You may create more than those two, but for now, that’s a good start. Once you start a niche-focused community, you’ll want to invite people to join. Click the little person-plus icon at the top right of your community window and invite your followers. While you’re waiting to be able to search for Pinterest Communities to join, check out these communities that you might be interested in. If it’s you’re first time adding a community, be sure to do that via your phone and the Pinterest app. Otherwise, you can add these via your laptop or desktop computer. Like I said earlier, Pinterest Communities are brand new and no one is really sure how they’re going to work. The good news for you, though, is that there seems to be great interest in them. As an early adopter, you can get in on the ground floor of Pinterest feature that just might be the thing that transforms Pinterest from a search engine to a social media platform. And that’s exciting! For right now, though, there’s going to be a lot of experimentation which means some things will work and some things won’t. But, by getting in at the beginning, you have the opportunity to pave the way for the future of your own community. I know I’ve linked to it, above, but this is your official invitation to join the Crochetpreneur Community. It’s a great place for you to get your feet wet with the communities feature and connect with other crochet business owners. Please let me know if you have any questions along the way and I’ll be happy to help out!